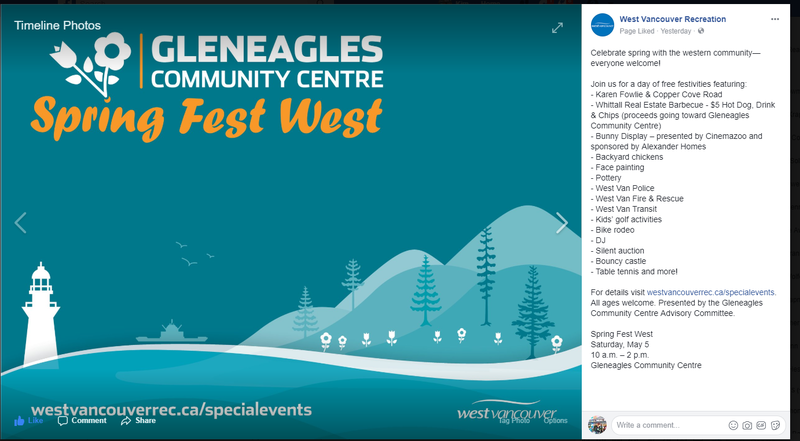 Celebrate spring at Spring Fest West on Saturday, May 5 from 10 a.m.–2 p.m. at Gleneagles Community Centre (6262 Marine Drive). All ages welcome. Presented by the Gleneagles Community Centre Advisory Committee. Visit westvancouverrec.ca/specialevents closer to the event date.